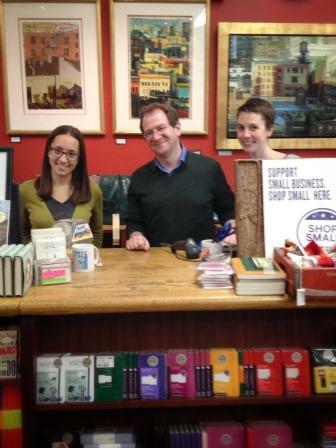 Small Business Saturday was once again a success at both Book Culture locations. This year was special; we were lucky enough to have Will Schwalbe, author of The End of Your Life Book Club, join us on the floor. He was great helping suggest books to customers and added a great dynamic to the sales floor. We are so happy that Will accepted our invitation to join us on Small Business Saturday and we hope to see him in the store soon, maybe not as a clerk this time. 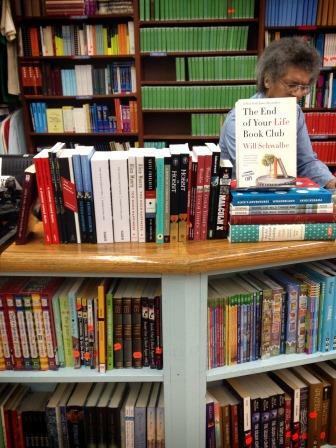 The staff would like to thank Will Schwalbe for his time and dedication to small businesses and bookstores in New York City. 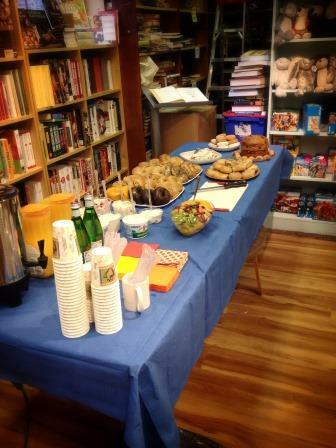 As usual, we hosted a bagel breakfast Saturday to thank our customers for coming in and supporting their local and independent booksellers. Shopping independently is important for keeping communities thriving. Without our neighborhood supporters and customers, city, nation and worldwide, this store would be completely different. We love hearing from our customers and friends about what we could be doing to improve our community and our stores. In Morningside Heights we are lucky to have the Columbia students and faculty; they add so much character to our stores and make bookselling worthwhile. Small Business Saturday is a way that we can get back in touch with what is important about running a small business. It is all about the customers and the employees learning and laughing together.